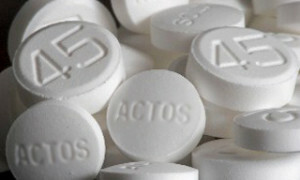 Actos (generic: pioglitazone) is prescribed for the treatment of Type 2 Diabetes – a condition where the pancreas produces insulin, but does not sufficiently process it or produce the levels necessary to regulate the body’s blood sugar levels. Actos is part of a larger family of medications known as “thiazolidinediones”, commonly known as TZD medications. Despite the drug’s popularity among those with Type 2 diabetes, recent medical studies demonstrate a significant causal link between the drug and serious, even life-threatening side effects, including bladder cancer, heart failure, bone fractures, liver damage, and eye problems. The magnitude of the potential side effects of Actos has sparked controversy both in the U.S. and abroad as more patients cry foul on the part of Takeda Pharmaceuticals and demand the announcement of an Actos recall. Preliminary lab tests of the drug, conducted by Takeda before its approval by the FDA, demonstrated a significant link to bladder cancer. Despite the known potential for risk, the drug ultimately received FDA approval in 1999, and by 2007 was the most commonly prescribed diabetes medication, generating over $5 billion for Takeda in annual sales. After studying adverse event reports from Actos patients all over the world, the French Medicines Agency (or AFSAAPS) conducted an international safety study of the drug. According to the study, it found that people who take Actos have a 22% greater chance of developing bladder cancer than those who have never taken it. As a result of these findings, the country implemented a country-wide Actos recall in June 2011. Though patients were advised to continue treatment unless otherwise advised by their doctors, the drug was removed from pharmacy shelves and physicians ordered to stop writing new prescriptions. The recall of Actos in France prompted the European Medicines Agency to review and analyze the source material relied upon by the French. Soon, German regulators instructed physicians to stop prescribing the drug to its patients until further research was conducted. The medical communities in both countries concurred about the link between Actos and bladder cancer. Despite the successful efforts to limit the drug’s availability in Europe, similar action has not been taken in the United States. The FDA must first establish a “reasonable probability” that the drug will cause “serious adverse health consequences or death” before the agency will consider an Actos recall here. In 2011, the FDA required Takeda to update the Actos warning label. The update is aimed at warning patients who have taken Actos for more than one year about the link between Actos and bladder cancer. The updated safety information also advises physicians to avoid prescribing Actos to patients with a personal and/or family history of bladder cancer. The FDA’s actions to strengthen the Actos warning label were based upon the preliminary results of its own ongoing ten-year study of the drug. The study is currently examining the alleged causal link between Actos and bladder cancer. According to the interim analysis of that ongoing study, the agency has established an increased likelihood of receiving a bladder cancer diagnosis for those who have taken Actos in high doses or, have taken the drug for a period of more than a year. Medical researchers participating in that study suggest that the likelihood of receiving a bladder cancer diagnosis while taking Actos under those conditions is as high as 40%. Until researchers conclude their 10 year study or establish the threshold level of probability to institute a recall of Actos, the medication will continue to be made available to patients with the requisite updated warnings. Allegations in the growing number of lawsuits filed against Takeda Pharmaceuticals consistently point to the proactive measures taken by France and Germany as evidence that Actos is a dangerous drug that warrants similar action be taken in the United States. Actos litigants believe that the FDA has not acted quickly enough to address the growing number of bladder cancer cases and other health complications associated with the use of the drug. Over 2,500 Actos lawsuits have been consolidated as multidistrict litigation No. 2299 in the United States District Court for the Western District of Louisiana, under the direct management of the Honorable Rebecca Doherty. The Actos MDL cases all share common allegations including a causal link between treatment with Actos and bladder cancer diagnosis; that Takeda concealed their knowledge of the risks associated with taking Actos; and that the company failed to warn the public and health care professionals about those risks. The first “bellwether” MDL case is expected to reach trial in January 2014. Takeda continues to make the drug available to patients in the United States and denies all liability with respect to the legal claims it faces.